One question for close to the entire college basketball regular season has dominated: Will the Kentucky Wildcats finished the season undefeated. Now Kentucky is sitting at 28-0 as it head into Saturday’s big game against No. 18 ranked Arkansas. 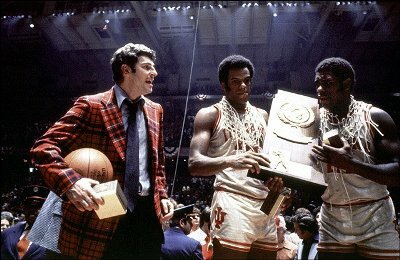 With 28 games played, the Wildcats need just 12 more wins to match the last college basketball team that finished the season undefeated, Bob Knight’s Indiana Hoosiers in 1976. The question remains on everyone’s mind, but the odds remain against it. Bill Self, the Kansas coach whose team lost by 32 points to Kentucky in November said at the time if the Wildcats were still undefeated in February, then a perfect season could happen. In the 12 games that remain, some should be quite close. Prior to the end of the regular season, the Wildcats much play the Razorbacks, Florida as well as Georgia. Both the Gators and Bulldogs gave Kentucky tough games the first time they played in earlier this month. Kentucky could play any of those same teams during the SEC tournament or even rivals such as LSU or Texas A&M. If the Wildcats do make it out of the regular season and SEC tournament unscathed, they would still have to win 6 games of which as many as 4 could be versus ranked teams. One analytical expert ran a calculation on Kentucky going undefeated and the Wildcats came out with a 24% change of going 40-0, earlier this season. Kentucky’s odds of ending the regular season undefeated have gone up to over 74% at this point. Its chances of winning the SEC tournament are now 73% and over 48% of winning the national championship, says one basketball expert. Last season, no team entering the tournament had more than a 15% chance of taking home the title. Most odds makers are giving the Wildcats just a 24% chance of winning the national championship and going undefeated, which is very high for something that has not been accomplish for the past 39 years. Nevertheless, it will take excellent coaching from head coach John Calipari since his players are between 18 and 22 years of age, with the majority less than 20 and pressure situations, which will only increase as they continue winning, will make it hard on the young players. The NCAA men’s basketball regular season has entered its stretch run as conference play continues. Most teams have another half dozen conference matchups before playing in their conference tournaments to end the regular season before March Madness begins. Odds makers released this week an updated futures board for the 2015 NCAA tournament. Three teams now have the same odds in second place. Arizona and Duke were joined this week by Wisconsin with the second best odds for the national title at 8 to 1. All three trail Kentucky the odds on favorite at 4 to 5. The Wildcats have been at the top of the futures board since the start of the season thanks to such a deep lineup of talent, and remain the only undefeated team in the top 25. 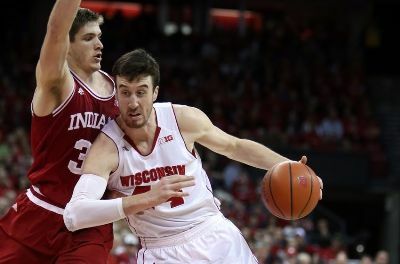 Wisconsin however has won five consecutive games including wins on the road at Iowa and Michigan. The Badgers are 13-1 over their past 14 games overall, with the only blemish an embarrassing loss to Rutgers. Their only other loss of the season was in early December against Duke. Duke has been on an emotional rollercoaster of sorts. On January 25, the Blue Devils defeated St. John’s to hand their coach his 1,000 win. Since, they have blown a second half lead of 10 points to lose to Notre Dame, kicked Rasheed Sulaimon their sixth man off the team and hand the Virginia Cavaliers their first loss of this season. In the eyes of odds makers such as Bovada and topbet it has been just a wash, as the Blue Devils odds remained unchanged from this same time last week. On the other hand, the loss to Duke pushed the Virginia odds for the national title higher to 10 to 1 from last week’s 8 to 1. The Gonzaga Bulldogs continue to get very little respect in the eyes of odds makers. On most national polls, the Bulldogs are ranked No. 2 with just one loss on the season. However, odds makers such as betonline and sportsbook.com have Gonzalo no higher than tied for fifth with odds of 10 to 1 to win the national title. The NCAA basketball regular season has not even entered its conference schedules yet, but that does not stop odd makers from constantly updating their futures boards for the national championship. 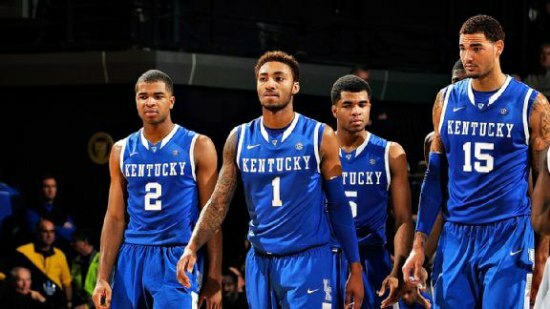 The Kentucky Wildcats started the season on many futures boards including Bovada and topbet, as a 9 to 5 favorite to win the National Championship in April 2015. The price for the preseason was historically low. However, odds makers believed the Wildcats were a solid pick to win the national title. Through their first 12 games, which have been all victories, the Wildcats have not done anything to temper expectations. On the contrary, Kentucky has seen its championship odds gradually shrink on futures boards such as betonline and sportsbook.com. Following its rout of UCLA 83-44, where the Wildcats led at halftime 41-7, odds makers shrank Kentucky’s odd to just 10 to 11 to win the national championship on April 6. 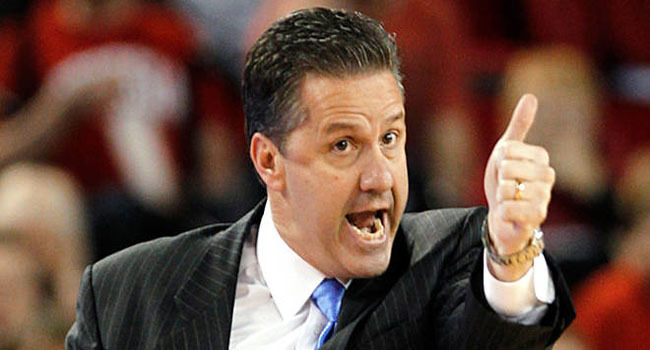 John Calipari the Kentucky head coach has his Wildcats playing unselfishly, cohesive and overpowering on the court. Its offense has finally caught up to its stifling defense. Kentucky made 12 of its 26 shots from beyond the three-point line, while holding the Burins to only 19 of 71 overall from the floor. However, at not even money, Kentucky is not a popular bet to win the national title. Betting on Kentucky using the moneyline in each game of the postseason tournament, while rolling over the winnings from the prior game, is a strategy that is likely the most effective and not betting the odds. One other reason is that the team that is dominant during the regular season not always goes on in college basketball to win the national title. Not every one of the most impressive teams in college basketball finished holding the title in their hands. Florida did in 2007, while Duke did in 1993. UCLA made it boring in the 60s and 70s with its title after title. However, the Runnin’ Rebels of UNLV in 1991 entered the Final Four undefeated and left with frowns on their faces. 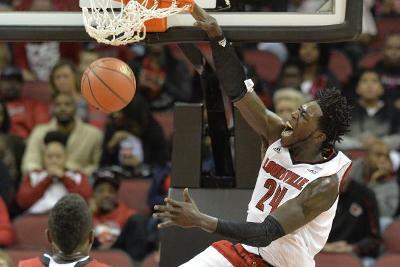 Kentucky will get a big test this Saturday December 27 when they travel to Louisville to face the Cardinals their in-state rivals and the No. 4 ranked team in the nation. College basketball takes center stage this weekend as the only action in college football is the annual Army – Navy classic. That signals a time for many bettors to move some focus to the round ball and college basketball. The transition from the gridiron to the hard court should not be a tough one especially when the weekend is highlighted with a clash between visiting North Carolina the No. 21 ranked team and the Kentucky Wildcats the No. 1 team in the nation, at Rupp Arena. The current line on Bovada and sportsbook.com has Kentucky favored by 12 points. After just ten games into the season, many are talking about an undefeated season for the Wildcats. However, against the spread, Kentucky on topbet and betonline is just 5-5. However, Kentucky is No. 1 in the country for defensive field goal percentage allowed at 28.7%, which is a big reason the UNDER has cashed in 9 of their 10 games played. However, Kentucky has yet to play an official game on the road after its first 10 games. This will be the first “true road game” for UNC. North Carolina has been tested though playing two teams in the top 25 and four games at neutral sites. The Tar Heels at 5-3 ATS are more profitable to start the season, but have two losses outright as favorites already this season. This matchup is the Tar Heels first major test as a road dog. Kentucky’s big news of the week was the announcement that Alex Poythress their talented junior forward tore an ACL during practice. He will miss the rest of the season. The Wildcats forward was averaging 20 minutes a game in the Kentucky platoon system. The UNDER has cashed in 21 of the past 27 games Kentucky has played at home. North Carolina has covered the spread in 9 of the past 11 games played versus Kentucky. 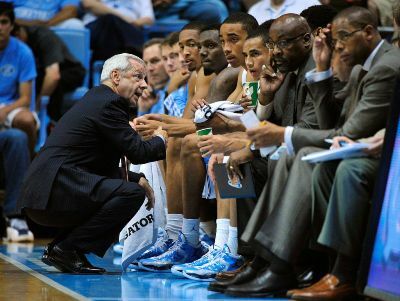 For many it is easy to shy away from the Tar Heels in this situation. Kentucky has been promoted as being unbeatable and North Carolina lost to Iowa at home earlier this month. However, 12 points is a great deal to give a team that has talent near the level of Kentucky. Sure, the Wildcats defeated Kansas by 32 points as a favorite by 7 points but the spread equalizes things and the Wildcats are just 5-5 this season against the number. With Poythress sidelined for the Wildcats, the team will have to readjust its platoon system somewhat and that could effective their production on offense. The game should be a defensive battle with low scoring and I like North Carolina to cover. What a difference a week makes. Last week Arizona was sitting at 6 to 1 odds to win the 2015 NCAA men’s Basketball National Championship. Then two twins with the last name of Harrison decided they would hold off signing for possibly millions of dollars to play and the NBA and return for their sophomore years at the University of Kentucky. That decision by Aaron and Andrew Harrison changed the odds at Bovada and topbet making Kentucky the new favorite to win the national title. When the odds were first released only hours after the April 7 national championship games, the Arizona Wildcats were the projected favorites, however with the Harrison deciding to return, Kentucky vaulted up to No. 1. Prior to the announcement Kentucky was 12 to 1 to win the national title, but now sit at 4 to 1 on betonline and sportsbook.com. Who stays and who heads to the NBA influences greatly the futures for the NCAA season. Usually the odds between the national championship game and the last day to enter the NBA draft are kept low. Bookmakers do not want to be exposed if they put high odds on a team thinking a player will leave to play in the NBA, but then stays for another collegiate season. The Wildcats of Arizona, which opened at 6 to 1 as the favorite to win the 2015 national title, have watched their odds go from 6 to 1 to 12 to 1 after Rondae Hollis-Jefferson, Nick Johnson and Aaron Gordon all announced they were leaving the team for the NBA draft. The Kentucky Wildcats odds did the opposite, shortening from 12 to 1 to 4 to 1 thanks to the Harrison twins. The Duke Blue Devils have been sitting in second place since the futures were first released and there they remain at 8 to 1 after opening at 7 to 1. Arizona was not the only team that saw its odds lengthened from the time the original futures list was released. Michigan is losing Nik Stauskas, Glenn Robinson III and Mitch McGary to the NBA Draft. The Wolverines odds went from 30 to 1 to 50 to 1. UCLA is losing Kyle Anderson and Jordan Adams and saw their odds go from 50 to 1 to 60 to 1. UConn, the current national champions will lose DeAndre Daniels. The Huskies odds went from 75 to 1 to 100 to 1. Syracuse will lose Jerami Grant and Tyler Ennis to the NBA draft and their odds went from 40 to 1 to 50 to 1. 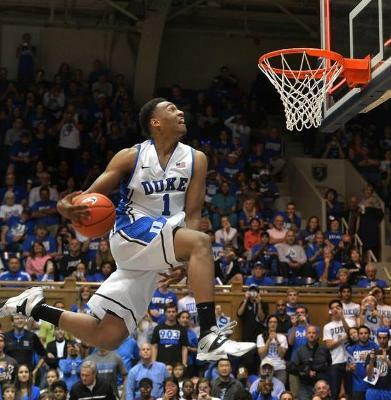 Duke’s price was changed from 7 to 1 to 8 to 1 as Rodney Hood and Jabari Parker declared for the NBA draft. March Madness concludes tonight when the national champion of college basketball will be crowned in Arlington. Texas. The Kentucky Wildcats take on the Connecticut Huskies in what should be a very closely contested game from start to finish. Kentucky is a No. 8 seed, while Connecticut is a No. 7 seed. Bovada and sportsbook.com have Kentucky as short chalk, but UConn has thrived as the dog in this NCAA Tournament. According to data taken from topbet and betonline, UConn becomes the first No. 7 seed to reach the final, while it is the fourth time a No. 8 seed has reached the final. In another first, Kentucky will look to become the first college team with five starters who are all freshmen to win a national championship. That would surpass the Fab Five from Michigan who were losers to Duke 71-51 in the championship game of 1992. The Huskies have a great deal more experience in their backcourt with Ryan Boatright a junior and senior and top player Shabazz Napier. Bovada currently has Kentucky at -2.5 with the over/under point total sitting on 134.5. The number has gone as high at 3 and as low as 2, but seems to have settled on 2.5. Connecticut versus Kentucky all time is 3-1 straight up and 2-2 against the spread. Connecticut defeated Kentucky in the Final Four in 2011. In that game, UConn was a dog by 2 points but won 56-55. Three of the top players on the Huskies played in that game as freshmen, although the stars of the game were Jeremy Lamb and Kemba Walker. Connecticut has won three NCAA national championships, while Kentucky has won eight. Only UCLA has won more national titles (11) than the Wildcats. Kentucky’s most recent national championship was in 2012 when they started two sophomores and three freshmen. In its past 8 games, Kentucky has covered the spread in 7. 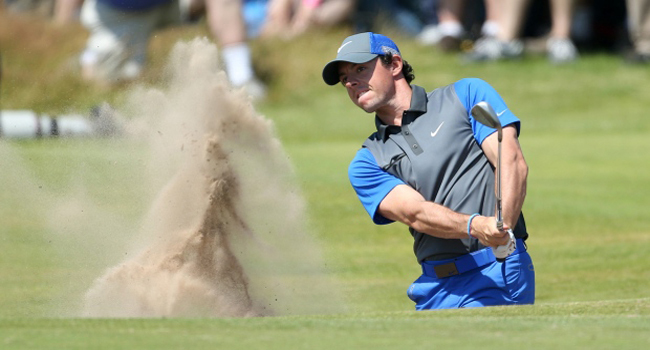 In each of the past four games Kentucky has played, the OVER has cashed with an average combined score of 147.8. UConn has covered the spread in each of its five games in this NCAA tournament. The Huskies have won the past four outright as underdogs. Kentucky has won its past four games in this tournament by a combined 11 points. They defeated a tough Wisconsin team 74-73 in their Final Four. The results were a push as Kentucky had been favored by 1 point. It was the second straight game Aaron Harrison knocked down a three pointer in the final seconds. It was just the fifth three-pointer the Wildcats had attempted in the entire game. UConn has the more talented individual player in the backcourt with All-American Napier. However, twin brothers Andrew and Aaron Harrison will have a decided height advantage and can get into the lane and take advantage of that size. This game in the minds of many bookmakers is a tossup. While some believe Kentucky should be favored by 3 to 4 points, others see great value in the Huskies as the underdog. Kentucky had just 4 turnovers versus Wisconsin and has learned to become disciplined with what is working for them at the time. There is definite relationship with the total points regardless the team you like. 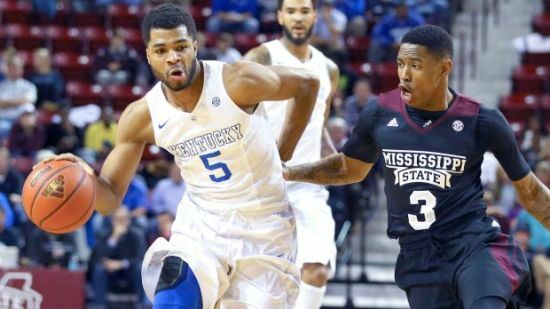 Kentucky bettors will like the OVER, as the Wildcats will push the pace. A win by UConn likely will mean an UNDER as 24 of the previous 37 games Connecticut has posted a total it was UNDER. The NCAA Tournament continues its path toward the final four with two more Elite Eight games on Sunday. In one of those games, the Kentucky Wildcats meet the Michigan Wolverines. Kentucky was the preseason AP No. 1 pick but has not lived up to its label of best recruiting class of all time in college basketball. However, the Wildcats seem to have awoken from their season long snooze and are a team that cannot be overlooked. Kentucky could very well be lifting the national championship trophy in just 8 days. Fresh from defeating Louisville the defending national champions for a second time this season, Kentucky is small chalk on Bovada and sportsbook.com in their matchup against the talented Michigan Wolverines. Kentucky has been inconsistent this season with his squad laden with freshmen. However, with wins over talented teams such as Louisville and the previously unbeaten Wichita State Shockers, the Wildcats are a legitimate threat to win and move on today. 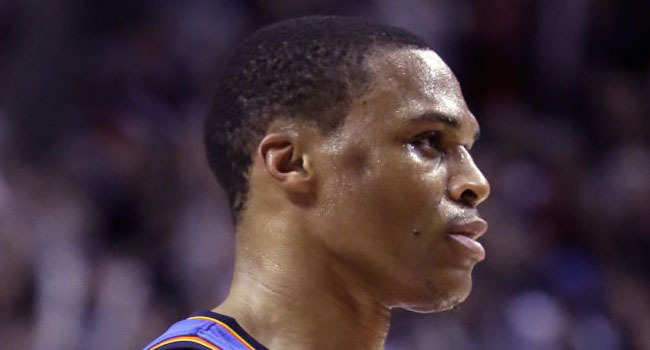 However, they might have to play without one of their frontcourt players. Michigan is in the Elite Eight for the second consecutive season after a win against Tennessee in the Sweet 16. Head Coach John Beilein is now 20-5 against the number in NCAA Tournament games for his coaching career. Kentucky will have a huge advantage on the boards, but Michigan counters that with sharpshooters from 3-point territory. The current line on topbet and betonline has Kentucky -2 with the point total sitting on 140.5. John Calipari the Kentucky head coach is 7-1-1 ATS in March Madness. Kentucky lost 78-74 to Michigan State this past November, which was their only game versus a member of the Big Ten. Michigan defeated Michigan State 2 out of 3 times they have played this season. Kentucky is 6-0 ATS over its past 6 games overall. The OVER has cashed in 6 of the past 8 games the Wolverines have played overall. 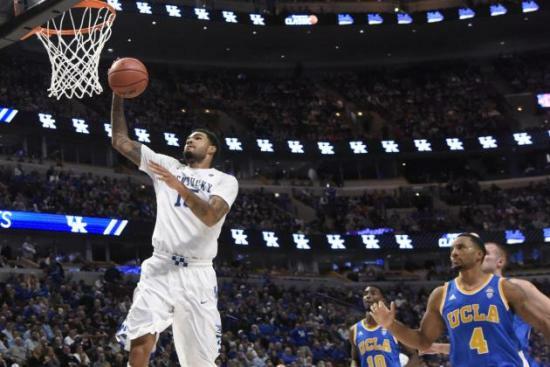 Willie Cauley-Stein a sophomore forward for Kentucky injured an ankle against Louisville. He did not return after the first half injury and his status for this game is still unknown. Cauley-Stein is a big reason the Wildcats have the second best rebounding margin in the nation. Kentucky starts five freshmen including twins Andrew and Aaron Harrison and Julius Randle one of the nation’s best frontcourt players. Michigan relies on its outside shot. The Wolverines have hit 32 of their 65 three point shots during their three games thus far in the tournament. Michigan is 13-0 SU in their past 13 games decided by 9 points or less. Kentucky might be loaded with freshmen, but they have finally realized what it is to play like a team. The Wildcats will be tough on the boards and will look to shut down the Michigan perimeter offense. I like the Wildcats less the points to win and move on to their third Final Four in four seasons.